When we hear about a vegan product being launched in the UK we just sort of assume it will take a while to filter down here to Devon. So I heard about these pizzas long before I got to try one. 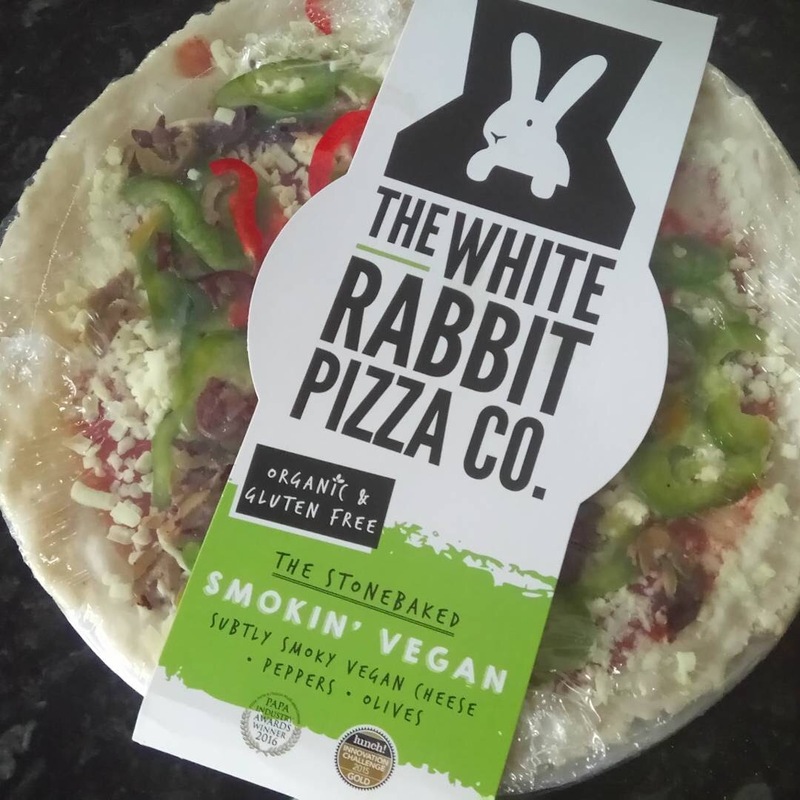 The White Rabbit Pizza Co. makes gluten free pizzas, two of which are vegan. One of them has made it onto the shelves of our local Sainsbury’s. Okay, let’s get one thing out of the way. This is not a low cost vegan option. 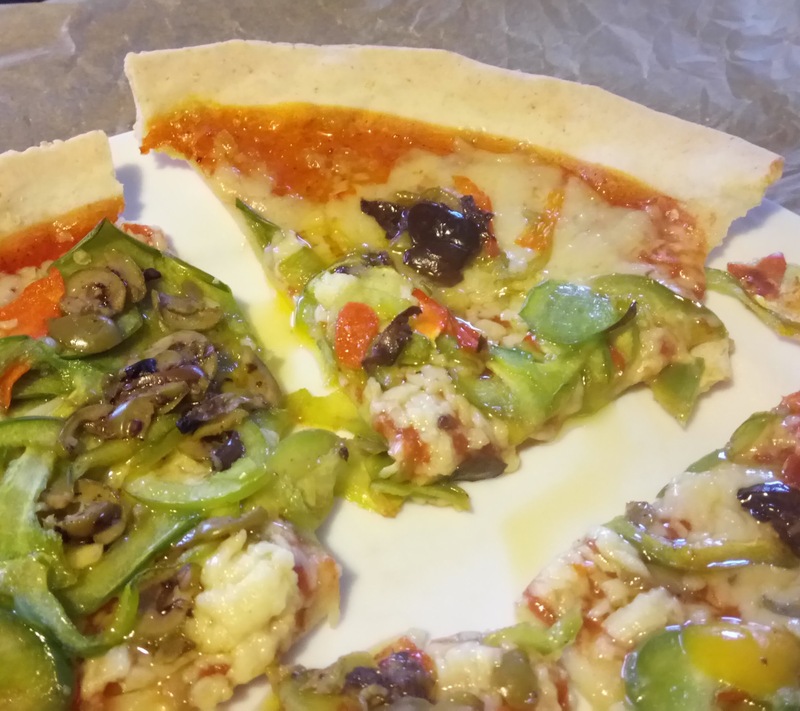 When I got mine it cost £5 which is about the same as a chilled Pizza Express pizza. It’s the same sort of size too. As it’s vegan, gluten free and organic it’s going to cost a bit more to make but that does mean I can’t afford it all that often. Let’s talk taste, then. I was pleased with the amount of toppings. Pepper and olives will always make me happy. The cheese didn’t taste all that smokey to me, disappointing because I love smokey cheese, but it is nice and creamy. As for the base, well you have to remember that it’s gluten free. It’s not a chewy, bready base. It’s rather cracker like but it is tasty. All in all it’s a solid weeknight meal option.